FASHION ON ROCK: Please HELP!!! 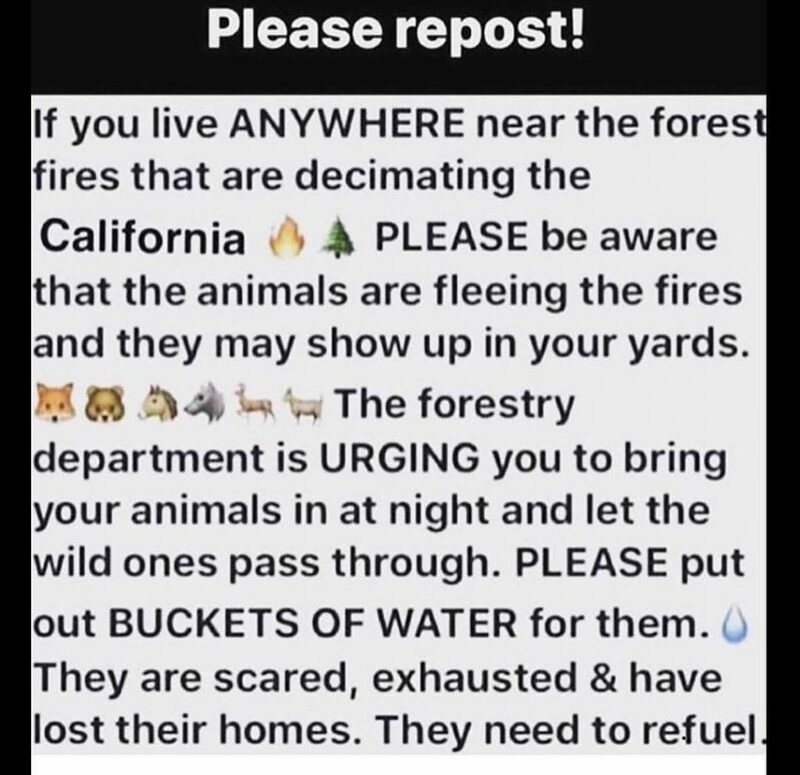 Please, if you're in California near this horrible fire, put some water for the animals. Please help if you can.